Shahid Kapoor And Mira To Plan Second Honeymoon Soon? Home BOLLYWOOD Shahid Kapoor And Mira To Plan Second Honeymoon Soon? It’s been months since Shahid Kapoor married his Mira, but the duo are nowhere stopping to make headlines even now. 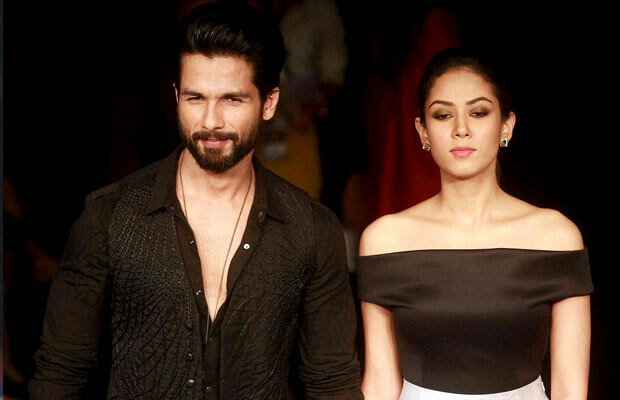 The ‘Shaandaar’ actor Shahid is also nowhere behind to talk about his wife Mira now. Shahid Kapoor, who always restrained talking about his wife Mira at the promotions, expressed his feelings on how Mira makes him a better person. Recently in an interview, Shahid Kapoor said that people often keep asking who why how about his wife as she is non-celebrity and that she was not a part of his social circuit either. He also said that how it doesn’t matters for him on how and where two people meet, its more important that how two people connect. Also Read: Jhalak Reloaded Grand Finale: Shahid Kapoor And Alia Bhatt To Set The Stage On Fire! As we all know Shahid has been in relationships earlier, but for him it’s interesting to be with someone who is non-celebrity and that with someone he got married is a normal girl. The actor was also heard saying that how Mira makes him better person by each coming day and that she is never bothered to know about what’s happening in the Bollywood industry. The duo communicate well with each other. Nevertheless, Shahid Kapoor who had a choc-o-bloc busy schedule after his marriage went to London for his honeymoon. The actor took some time out from his busy schedule for their honeymoon and after coming back in a week the actor resumes back with the work. According to the recent reports, it is said that wife Mira wants to go for another honeymoon at some of the interesting and exotic places for a longer duration. Well, it seems, Shahid who is known to keep his woman happy, will soon plan another holiday trip and we wait to know when and where!